Originating in nothern France, the Lesaffre SAF-Instant Yeast brand is recognized around the world as a top choice for baking and leader of the international dried yeast market. Lesaffre is singularly authentic, unique and innovative. 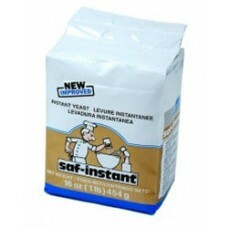 Lesaffre's SAF-Instant® Yeast Gold Label is perfect for your favorite recipes that call for active dry yeast or instant yeast. 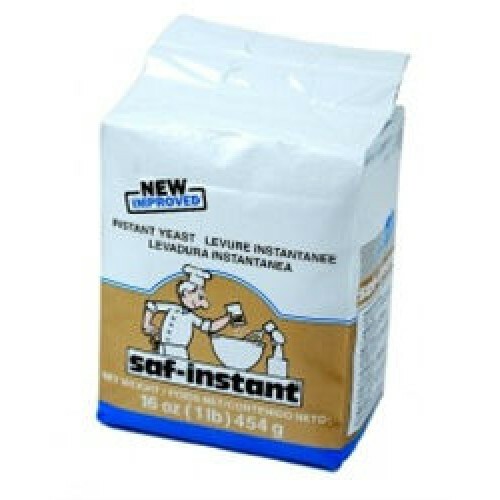 SAF-Instant® Yeast Gold Label is fast-acting, long-lasting, and popular in professional and home kitchens everywhere. Designed specifically for sweet doughs that contain higher levels of sugar. Lesaffre SAF-Instant Yeast is the baking professional's brand of choice and now home bakers can add it to their arsenal of ingredients. Whatever your baking project, Lesaffre offers superior fermenting power and wonderful stability. From our pantry to yours! 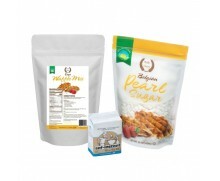 Vacuum packed to ensure freshness, consistency and minimal activity loss. No need to proof or pre-dissolve before baking. Single pound (16 ounce) portion. Recommended shelf life for unopened package is two years from date of manufacture. Once opened, store in airtight container at room temperature for 6 months or in the freezer for 12+ months. Great product. I use it for my Liege waffles and my French baguettes. Great result.This product keeps really good in the freezer. The yeast worked very well for my Liege waffles. My problem was that I did not know the yeast was in a dry powder form. I was having trouble opening the package as it was rock hard and decided to slice the package open thinking that the yeast may have been in cake form. I ended up spilling most of it. I would suggest using the smaller packet yeast or making the bag easier to open. Also, unless you plan on making a lot of yeast breads, it was to much yeast for my usage.